Onyx DX 3002, a state of the art active digital cable. Provides a completely new reclocking of the digital signal. Available for SPDIF signals with directly connected cables and Cynch or BNC connectors. 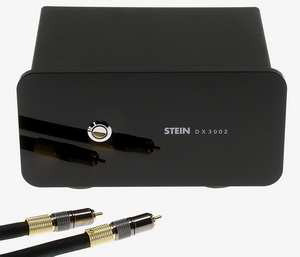 Also available without cables but with balanced XLR connectors for use with AES/EBU signals.